The strangest thing happened to me only hours ago. Firstly for the past few days I've been trying to think about the ethics of saving plants. I was thinking how little difference there is from a native plant salvage program to simple taking the plants. Though there's nothing to stop someone from stopping along side a road and digging up something they like, on a grand scale it's done differently. Lots of people are hired to go into land they usually rent or buy and harvest it for what it's worth. Then they sell it to contractors who may eventually build on it. 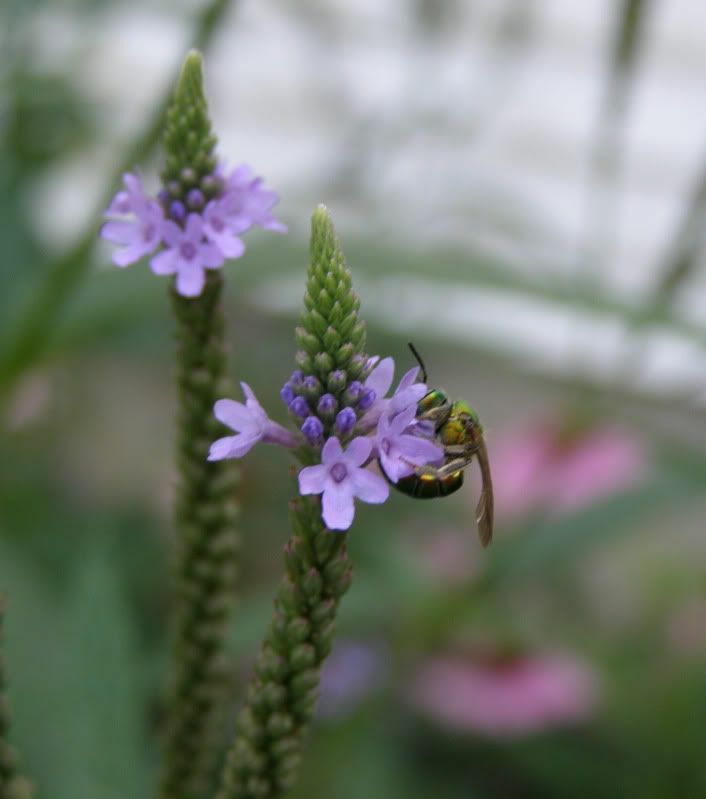 Native plant salvage programs work almost the same way but there are a few differences. Firstly it's done in response to development already planned. And second they're usually open to the public and not done with money as the end goal. Even so, I can't help but think why someone hasn't taken advantage of this program. Surely people who want to raid the forest for all it's worth and sell plants would be smart enough to run a native plant salvage program if only to look like they're the good guys. This has been on my mind a lot lately because they're building a Wal*Mart right next to the strip mall I work at. All the buildings are getting upgrades and for some mysterious reason they're expanding the parking lot that I've never seen come anywhere close to being filled. It's important to note though that the entire Plaza is surrounded by mostly untouched thick forest land. There are hill sides that actually resemble prairies and are overgrown with goldenrods, bonesets, primroses, viburnums, queen anna's lace, and dozens of other plants I can't identify. Construction on the expanded parking lot has already began. They cleared away a lot of the forest, mostly pines that I didn't like much anyhow. After a day of this they stopped after only cutting a few hundred yards. The forest behind the area now actually looks pretty. All the low growing shrubs and vines are cut away. The trees look so naked without them. When I went to work I knew they'd done half the hill on one side of the street. As I left work I turned the radio on. I listen to the classical music station and the lady said, "and now we continue with songs from the movie Schindler's List." It took a moment to begin as great movie scores do. And as I drove up the hill the romantic sadness of John William's score set in. While I was at work the contractors had demolished the rest of the forest on that side. The road is long and as the music plaid I couldn't help but drive slowly and look out at the decimated forest land. An entire forest of trees that had grown 50 feet tall were completely logged and tilled over in a matter of hours. On the other side of the road though there was still hope. Still a forest and that prairie land as I described it. It's emotional coincidences like this that cause you to take action. After dinner I got my dad to drive back with me. I had a shovel and several pots with me. Looking back I wish I'd saved more. Unfortunately I'm not the head of a native plant salvage team and needed to be select about what I saved. The patch of Purple loosestrife could rot in hell, right along side the Bradford Pear volenteers. I snagged up a boneset and a few of some odd plant I don't even know the name to. I'll have pictures later on of course and I'll try to get it ID'd. I would have loved to take a Viburnum home but I couldn't find any saplings, and at any rate the plants had poison ivy growing by them. I may attempt a cutting though. So that's my good deed for the day. 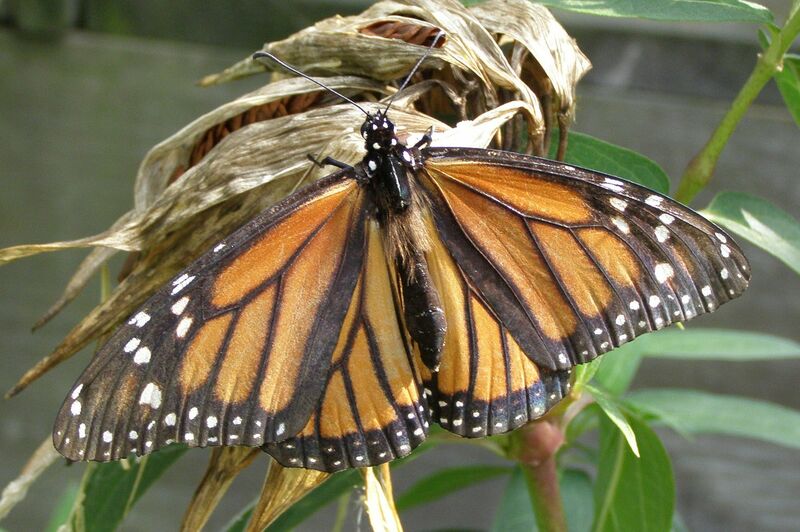 Reason One: it's the host plant to the Monarch Butterfly. 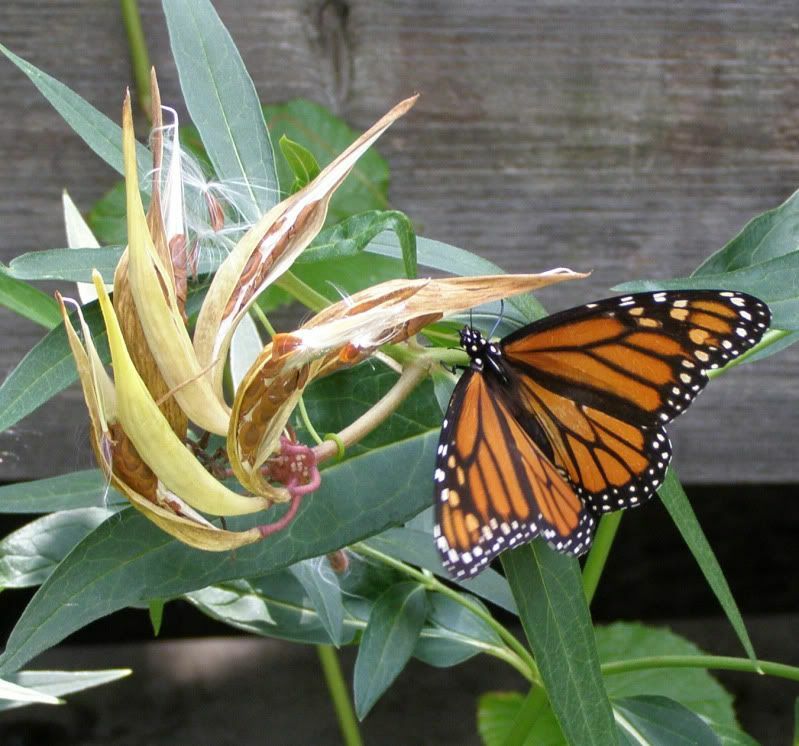 There's no better plant I know of to get the Monarchs into your yard. The males arrive and hover around waiting for females to show up. 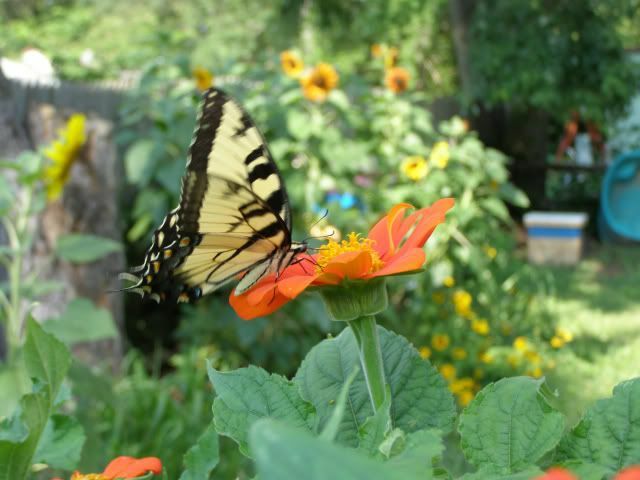 In the mean time they'll help themselves to your other plantings sipping at nectar as needed. Liatris ligulistylis is a good late flowering nectar source for this, if you're more interested in an annual then I'd go with Zinnias. 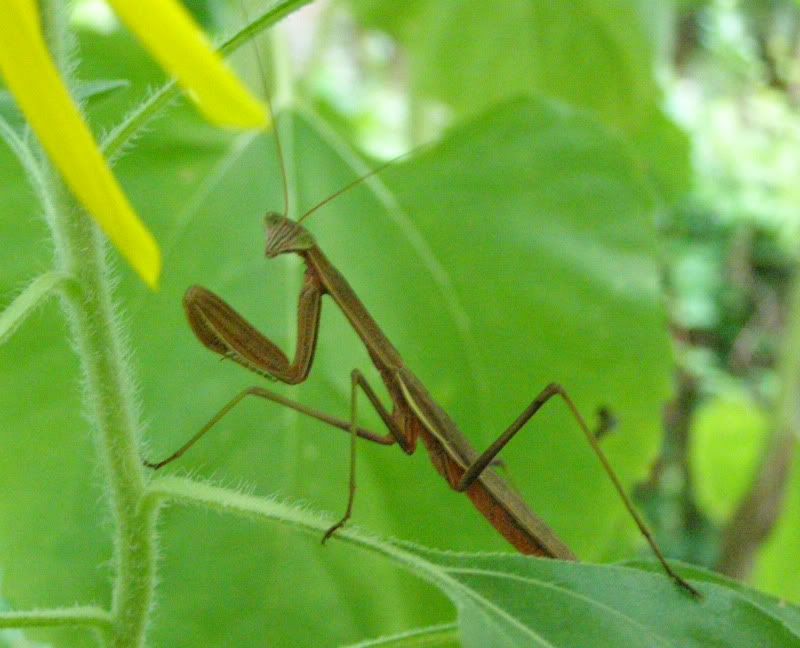 The females eventually arrive and immediately mate if they haven't done so already and lay eggs on the milkweed. It's best to have at least 3 healthy plants (of flowering age) I find. In time they too will begin feeding on what's available. If you don't have anything flowering at the time though then off they go. Reason Two: Showy seed heads. From their interesting flowers come showy lime green seed pods. They eventually open and reveal their downy covered seeds. When a breeze blows the seeds usually take off. I remember in my youth seeing these puffs of white hair hovering over the yard and assuming they were the result of rabbits shedding. Some gardeners though might not like these. Unfortunately Milkweed does a good job of reseeding itself. And all it takes is a single rain storm for all the seeds to fall straight to the ground. I have about 100 extra plants that came up this year that will have to be weeded out next year. I think I'll pot a few up. This wasn't exactly a problem though. Monarch females aren't picky about what milkweeds they lay eggs on. Although they're attracted to the larger plants they still lay an egg or two on the smaller ones. 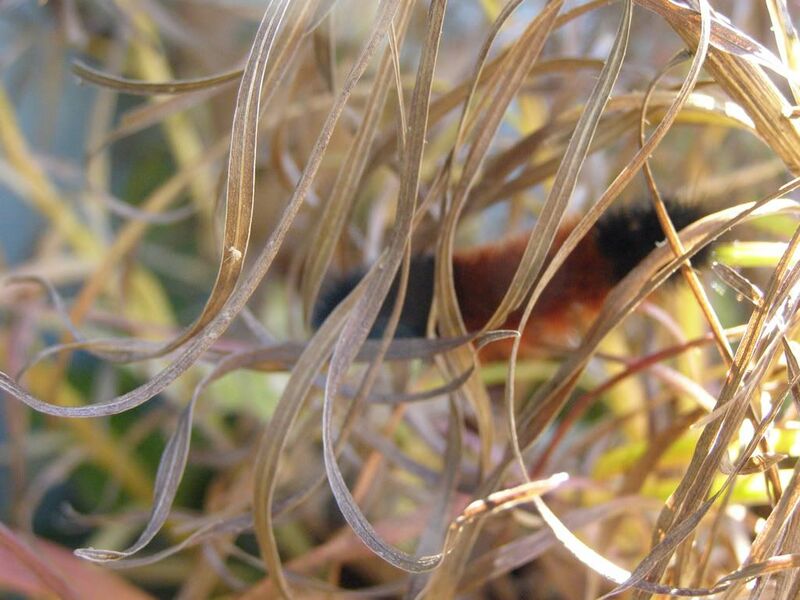 Caterpillars on small plants will strip it of all it's leaves but then move on to other plants nearby. The other issue about seed pods though is they attract seed beetles. They can be quite a pest too! The beetles will climb over one another and overlap inside the seed pod to resemble the seeds themselves. 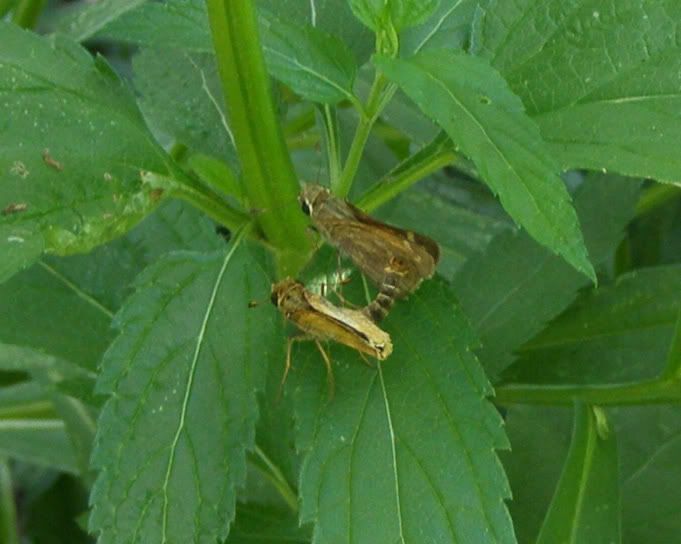 Adults fly from plant to plant to mate, instead of using pheromones. They only eat the seeds and don't harm the plant but sometimes single plants can get bobbed down with to many beetles. If they become a problem though I'd recommend just removing the seed pods. Something I've never noticed before is the toughs of brown fur on the thorax. 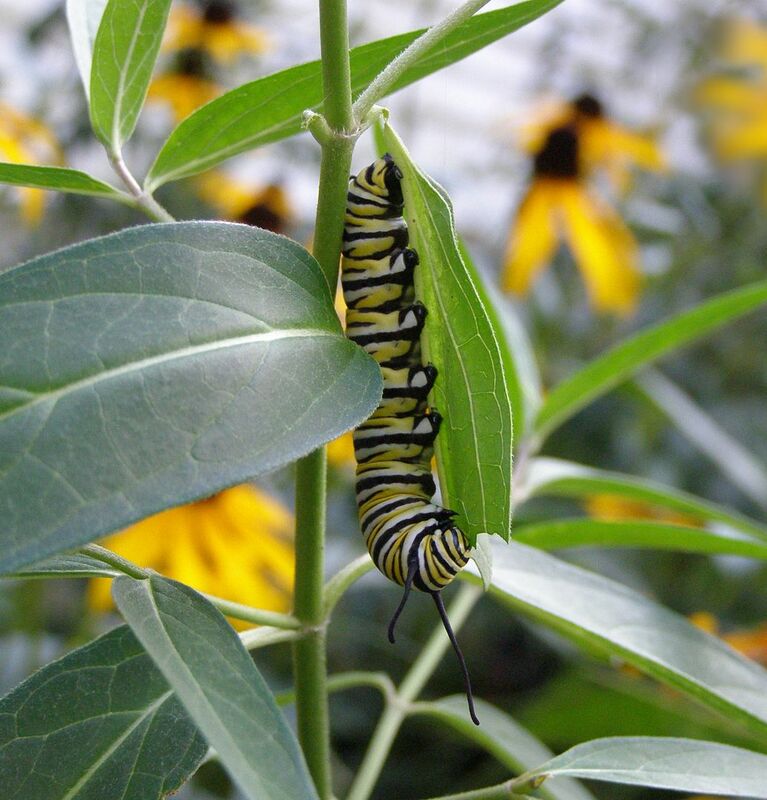 Reason Three: Monarch Caterpillars! These start out as a tiny little worm no bigger than the egg it hatched out from. As the days go by they nibble small holes in the leaves. Eventually they reach a more noticeable size. Before this time they're completely edible to any predator. 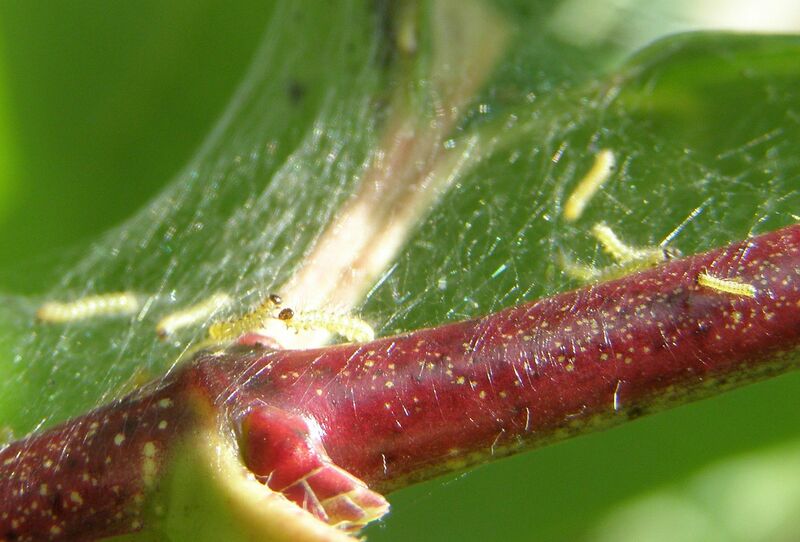 After the second or third instar (stage of larval growth) they become poisonous. Though they're still getting picked off by predators they soon stop as they learn how bitter tasting the caterpillars are. Once they're at the last two instars they proudly consume whole leaves on a daily basis. In time they'll spin a cocoon that's the exact same color as the Milkweed plant and dam near imposable to spot! But almost 2 weeks to the hour it was spun a Monarch Butterfly will emerge. They dry their wings for an hour or two then start fluttering around. Though not in the habit of feeding yet they may even go for some nectar. 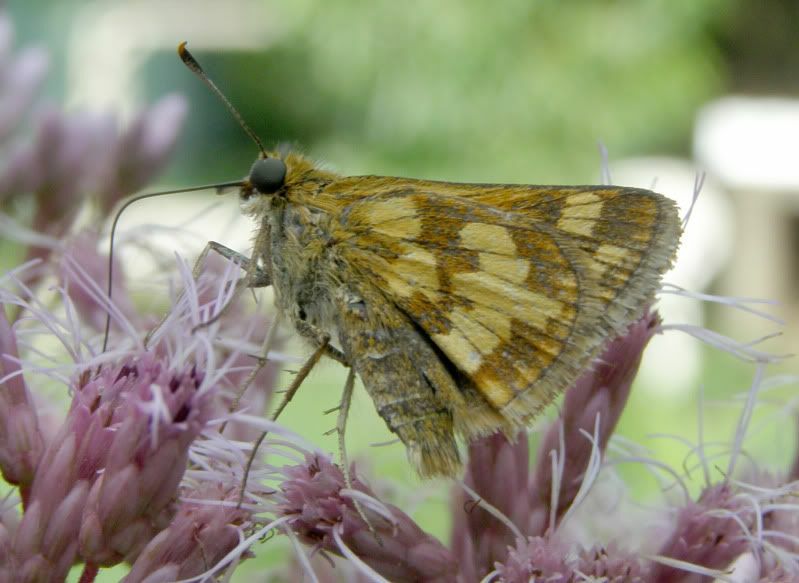 I've never had it happen myself but I want to say this is when Goldenrod is a better food source for them. Their migration soon starts and they fly away. Earlier in the week I inspected an odd brown patch on the Seven Son Tree, Heptacodium miconioides. To my delight I found a patch of silk teaming with worms. Normally try not to plant nonnative trees, this one in particular is from Asia. I've actually just uprooted a Vitex I planted a few years ago and I'm inches away from removing a nonnative cherry tree I planted only last year. This is actually a great thing. It shows that this tree isn't completely useless in this country. What's more I'm already seeing interactions. A spider as well some parasitic flies were picking them off all day. I actually don't see any caterpillars out there anymore. Perhaps they've abandoned the plant. Back in late June I recorded a tour of my garden. Unfortunately I never got around to adding an audio description but I have added some tags to highlight certain plants. I enrolled in a new school last week and hopefully start classes sometime in January. I'm not looking forward to 45 minute commute everyday, but hopefully I'll get a nice 2 year degree in Horticulture. (Or learn enough to not care about finishing the degree.) I'm predicting getting into a lot of arguments with teachers and being difficult as a whole. It's not that I'm trying to enroll only to be expelled, it's just I'm expecting to have to learn a whole lot about plants I completely hate like Bradford Pears, and Mums. Unfortunately it seems like the ornamental industry has some secrete goal in mind to landscape all of North America with nonnative plants. When people think of the average American home they usually paint a picture of a two story home, with a red door, white picket fence, a beautiful lawn, and (most oddly of all) plants that have been imported from Asia, Europe, and occasionally Africa. There is mostly a European influence as far as design goes but no one seems to realize how un-American most American homes look. My most hated weed outside right now is grass. Specifically what's called torpedo grass; so named for it's tendency to produce suckers from it's roots, as well as creep along the ground like a vine setting new roots down as it goes. 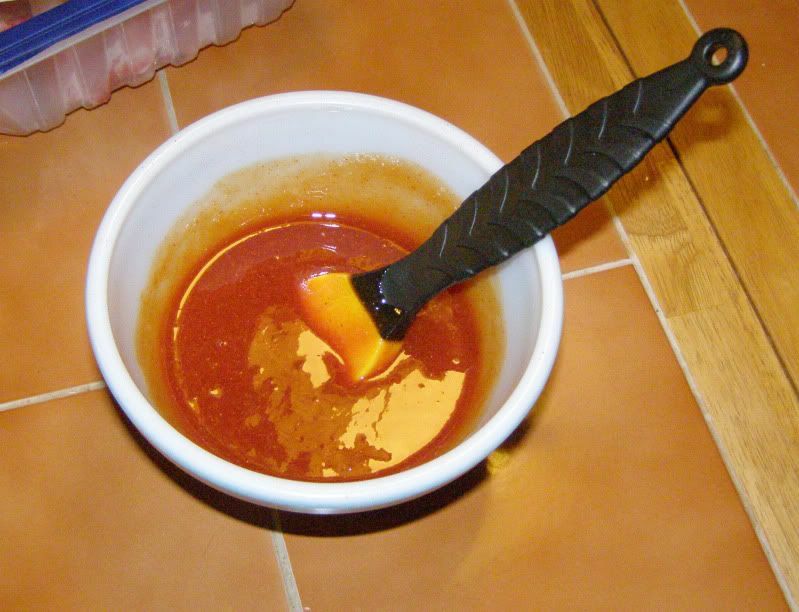 It is an awful nightmare and imposable remove completely. The only effective method I've found to get rid of it is laying down cardboard in huge sheets and allow the summer sun to cook it's dried husk. This is hard to do though in the perennial beds where I have a number of plants reproducing in the same way and setting seeds. The downside to cardboard is it takes time to decompose and needs a top dressing of soil to look nice. I bought a Bradford Pear tree once before I realized exactly what it was. I work at a movie theater and the complex is surrounded by Bradford Pear trees. I always knew them as the trees that bloom every spring. Really a one hit wonder at best. But I've worked at the theater for (goodness) 9.5 years now (since I was able to work) and never have I seen trees with such ugly bark. Sure the form and the flowers look nice but take a moment to look at the trunk. Bradford Pears are made of incredibly soft wood. It's not uncommon during a storm for a branch, sometimes as much as half of the entire tree to break off and crash onto a car out in the parking lot. Almost always a handicap person's space too! Recently when going back to my old high school (to get my transcript transfered) I realized there were Bradford Pears all around the school! Thankfully away from the cars. As I walked down memory lane I realized I couldn't find a single tree that didn't have some sort of scaring. A number of them had started to hollow out too! These are really awful trees. So after realizing what I'd bought (I'm a spontaneous shopper) I immediately broke the dam thing in half. This was a tree I bought maybe 4 hours prior and I didn't even want to try and get my money back. I really hate these awful trees. So hopefully when I start going to classes I don't have to use them in anyway. I don't even think they make good firewood. Unfortunately they seem to be a norm for the field I hope to move into. It's not all hatred though. I do like some nonnatives. Crape Myrtles look pretty but are kind of boring I think. Seven Son Tree, Heptacodium miconioides, is probably a much better way to stand out though since Crape Myrtles have become so standard. It's a bit smaller tree, has white flowers that bloom about now (frankly I can't find anything else that's a tree that is blooming now), and they shortly turn to showy purple "fruit." Which looks like a smaller unopened flower. People selling Seven Son Trees say in their native land that they're "rare" and thus could never go invasive, but this is clearly a sales pitch if I ever herd one. One benefit, I'm happy to see, is they're a caterpillar host plant! I have one planted in my yard and it has a small web of some type of web worm on it. They're actually burrowing into the leaves, but I've already witnessed plenty of spiders and wasps picking them off. And it's odd that I'm witnessing this so frequently. In a matter of two days I think all the caterpillars were devoured even with their tent. I would have photos of this but .... photobucket is demanding money (the bastards). So sorry to abruptly end but this has just been me rambling at 2 in the morning. Well it took 4 years but I finally managed to fill my Photobucket account up with pictures. Not the best thing to happen to a photo blog, so please bare with me for the next week or so. This is a fascinating insect. 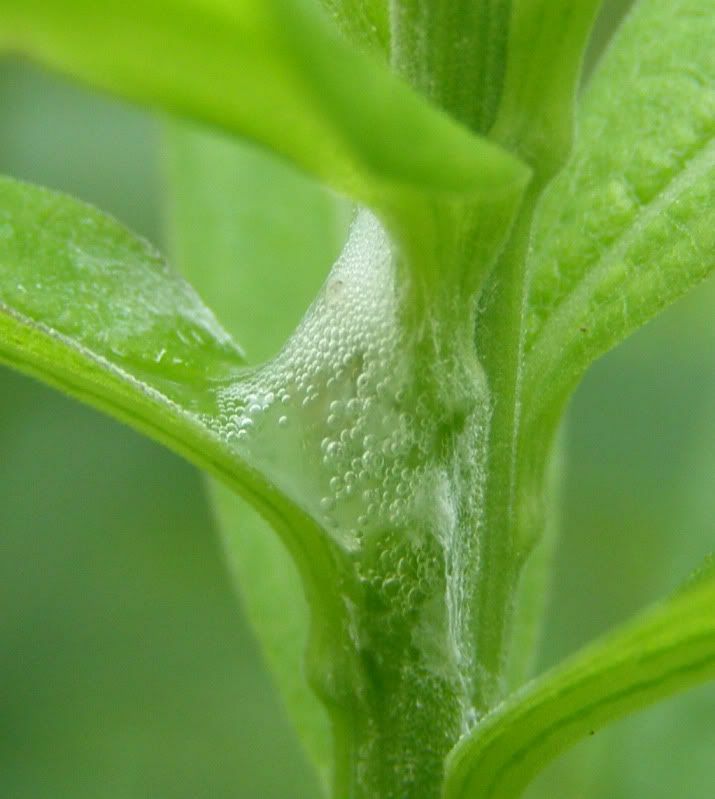 It's called a Spittle Bug, and my goldenrod plants have them all over the base of the leaves.... and yah I got nothing to blog about today. The stupid things make foam so they're not disturbed while eating. I'm falling asleep just writing this. Sorry. I fed them immediately after the first workers were born for the previous update. But on the previous update I took the pictures before they started eating. Here you can see the ants storing the sugar water. The social stomach expands and the abdomen expands to the point where you can see through it. Queens tend to have a more cloudy interior, I suspect because of eggs and such. Only three workers so far for both colonies. More will be born as you can see from the cocoons. Also notice the second batch of brood. 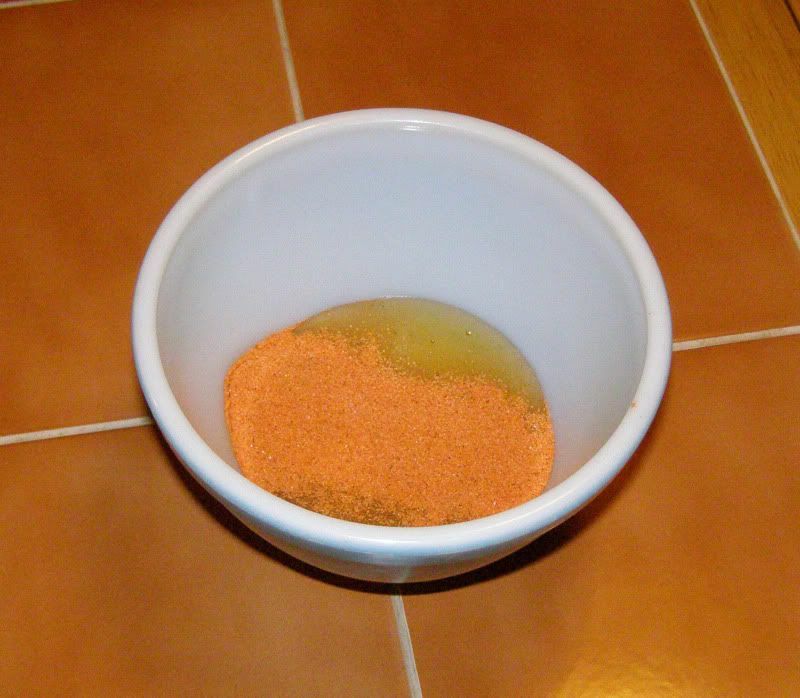 Camponotus lay in batches at certain times of the year. This next brood will either over winter or hatch sometime in December/January. It might also bare the first major worker and or normal sized workers. 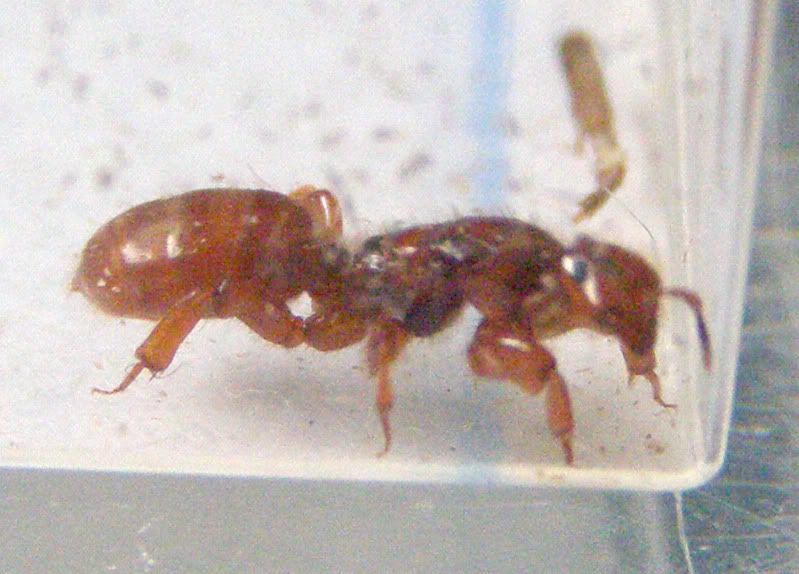 The current workers being born in the colony are actually nantics; smaller than normal workers produced by queens as a faster way to get workers. There isn't much difference between a nantic and a regular workers though. 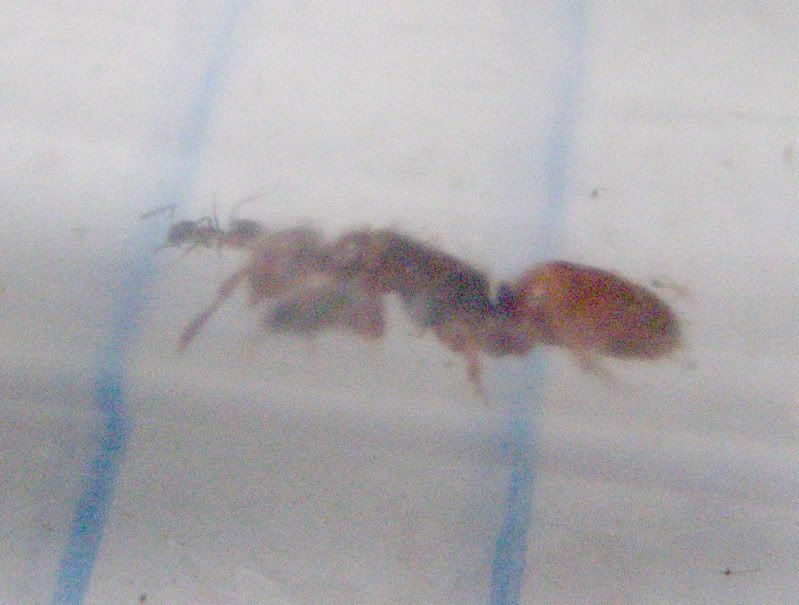 Two nights ago I caught a Lasius latipes queen. She was running around at night, this was about 9:30pm. I assume like all Lasius they fly in the late afternoon. The thing is though she's a social parasite. 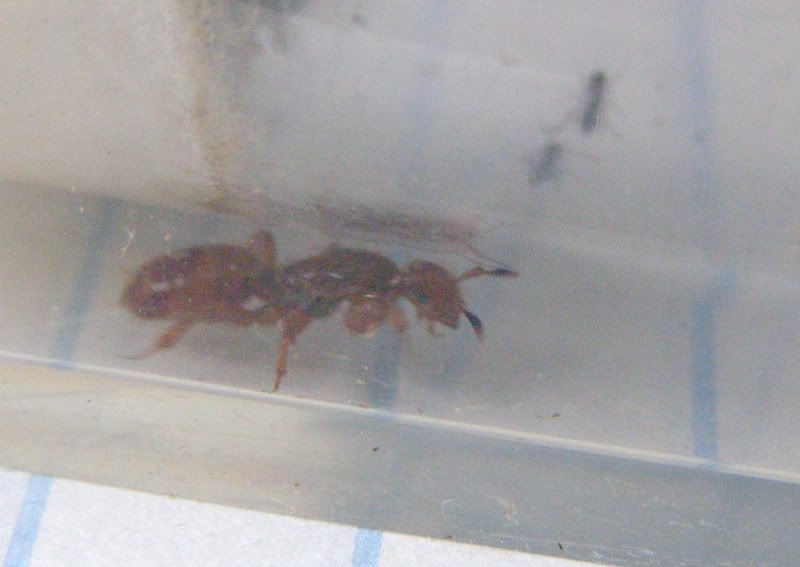 Meaning she needs to find a host colony, in this case another Lasius species, and replace it's queen. I'd always been fasinated by how bulky the legs are on this ant. What are they used for? Other social parasitic Lasius don't have them! So I put her in the foraging area to a colony of Lasius neoniger to see what would happen. Pretty much she ran around frantically nonstop. Often times she would just fall over onto her back. It's kind of an issue really. The slightest bit of something would cause her to fall over and she'd struggle to right herself. By yesterday morning she was dead, just having exherted herself. A few times though she did get into the Lasius neoniger colony, but she never did anything. If I catch another I'm tempted to just put her in the tube and close it up with the colony. She is a tank! Those big legs are just well armored and I think that's what they're used for. Considering the workers to the host colony are barely the size of her head. I don't think she'd have any trouble just bardging into a colony and tearing the head off the host queen. Indifferently, though, that didn't happen. She had ample opertunity too. Despite falling over the Meadow Liatris, L. ligulistylis, is still getting attention. I had a Monarch Butterfly on the plant for over 2 hours. Quite a feat considering only a few of the flowers are open. Here a bee flew to close and the Monarch thwacked it with his wing. If you look carefully though you can see they eventually got along. There's even a honey bee sipping at the flowers. 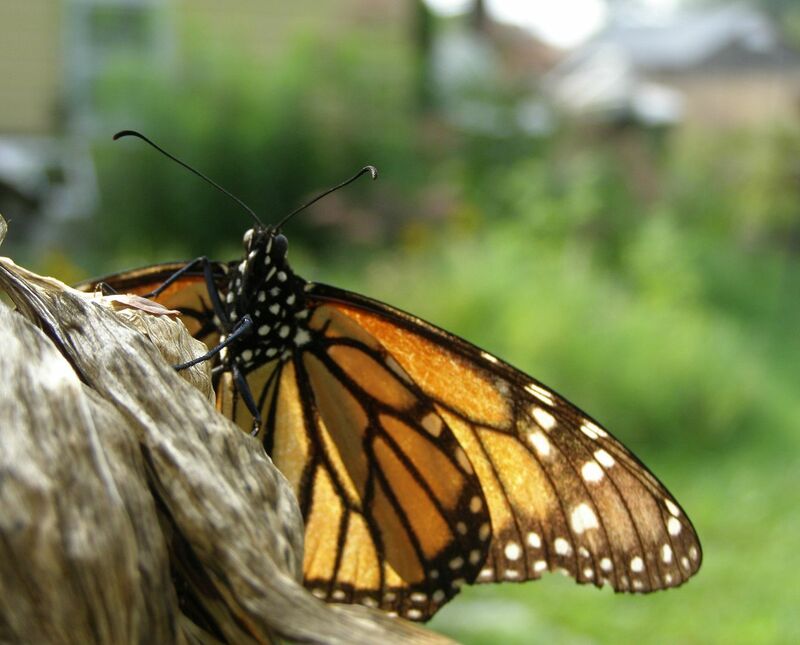 Male Monarchs have two dark spots on the rear wings. 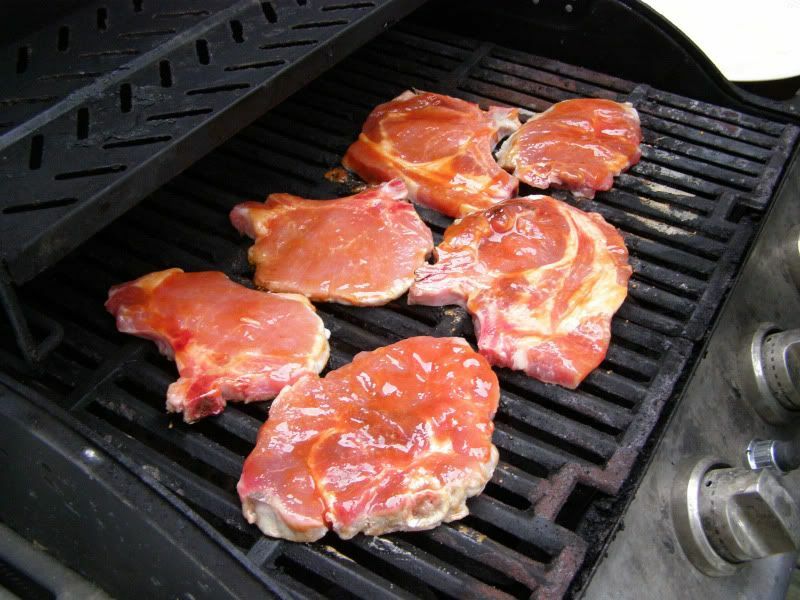 These are special glands that attract females. 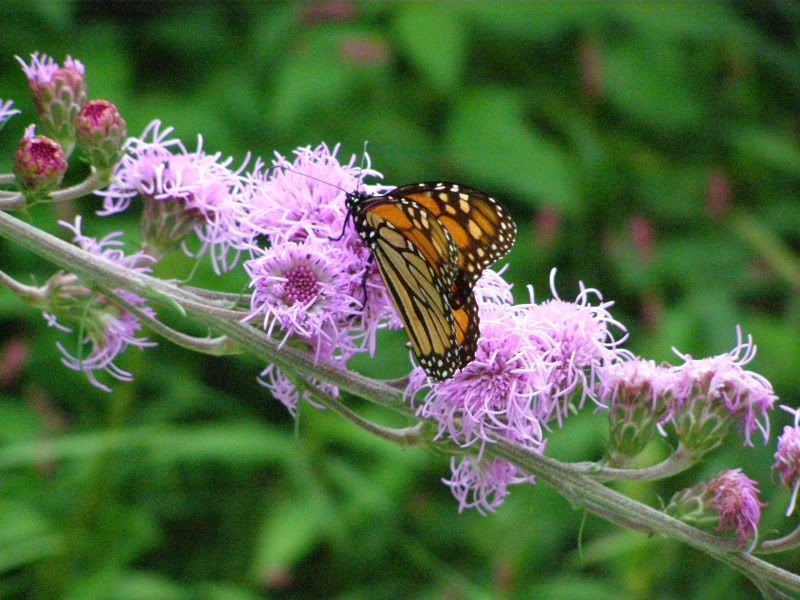 The beauty of this Liatris is how late it blooms. 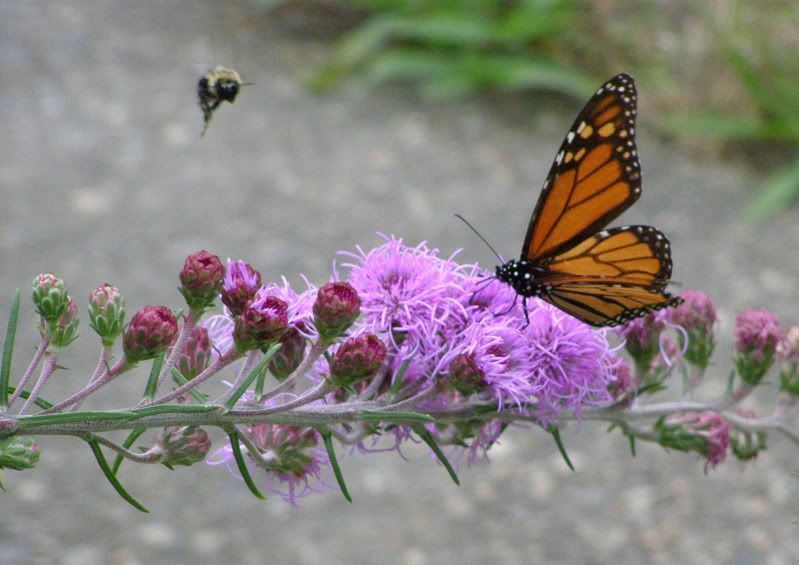 The other common Liatris I have so much of, I bought at Home Depot, actually blooms in June. This is great for bees but to early for migratory butterflies. 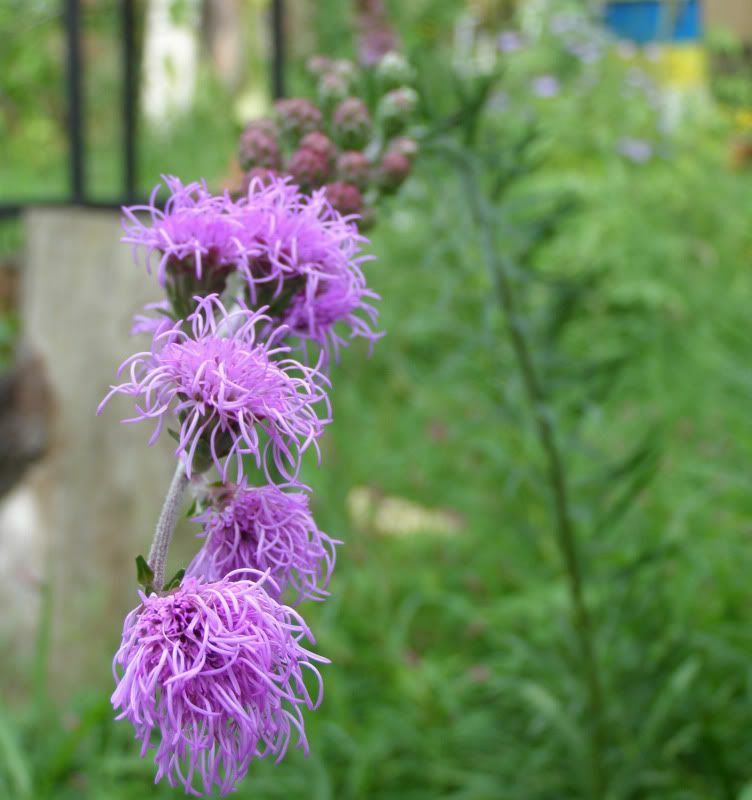 The flowers to this Liatris are more complicated and bigger too. I think I'll focus more on these late flowering Liatris. Only one or two of these flowers open each day. They last maybe a week then fade. What follows is almost a re-blooming but this time of furry seeds. Goldfinches enjoy these seeds as well, but as I've said before, sunflowers are the best for them. 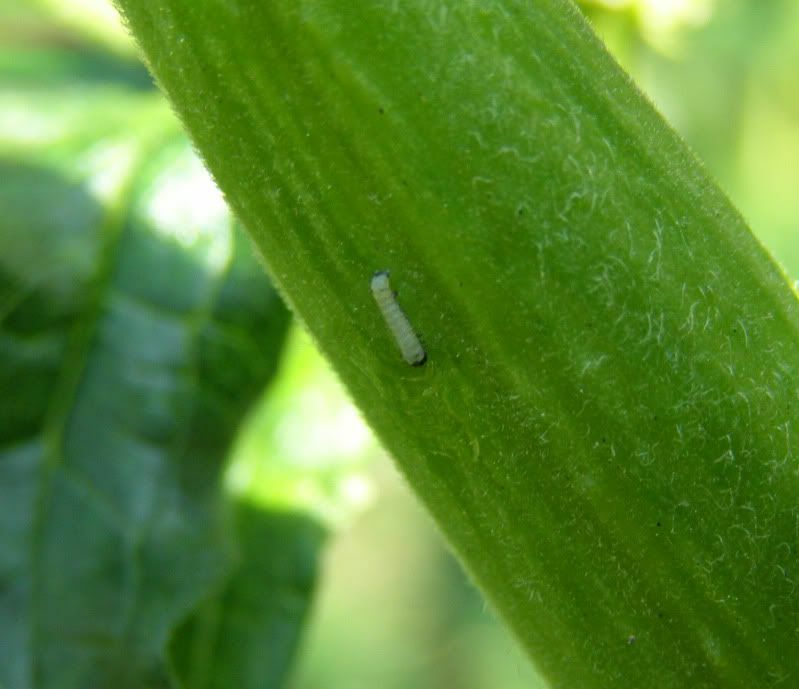 A poorly cropped shot to give you an idea of how small a first instar (stage of larval growth) Monarch caterpillar is. It's on the seed pod to a Milkweed plant, and no bigger than the pin sized egg it hatched from. So here they are. The start of what I hope will be two good colonies of orange carpenter ants. Out in the wild they normally nest in sandy areas around near trees. The nest itself is usually tangled in the roots of the tree. One or more entrances can be found off to the side of the tree itself, usually under something. No mound to really speak of. My luck with Camponotus isn't that good. In general the saying when you think they're doing good is "give them another week." And sure enough they colonies of Camponotus pennsylvanicus I've kept do find ways to completely fail after the first workers are born. It's the most common Camponotus species obtained for the eastern US. 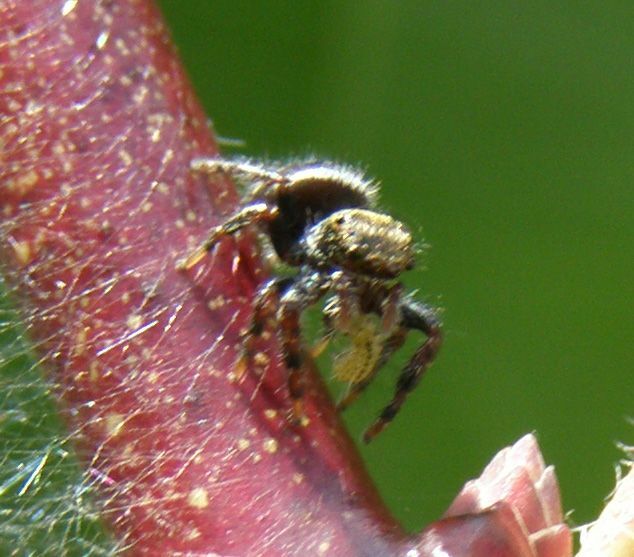 C. chromiodes is probably a close second followed by a dozen others. And that's what makes this so important. Camponotus castaneus is not often caught, at least not in any significant numbers. The fact that I found two queens, and got both to start successful is amazing. In past years when I caught 6 queens or so they would all die well before the first workers were born. I learned the hard way that Camponotus were sensitive to rubber and plastic fumes that came off the test tube caps I used to use. 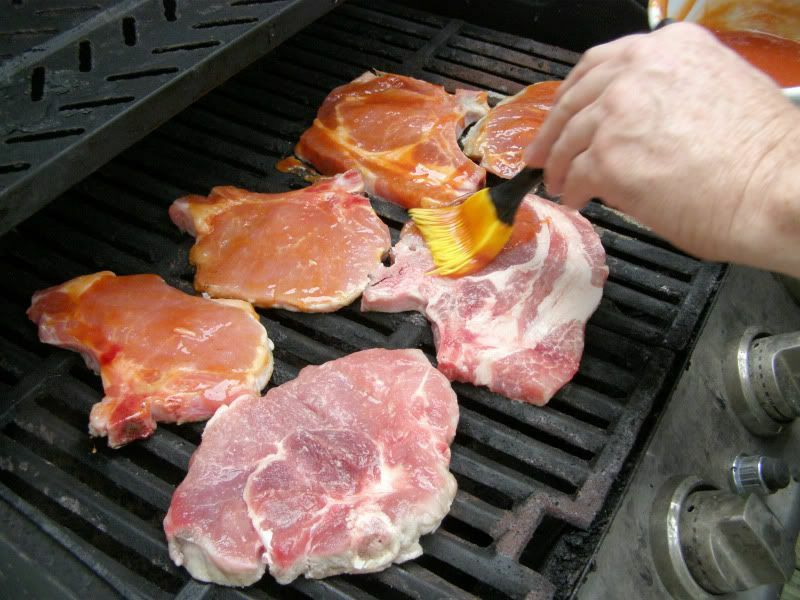 They would slowly suffocate and die, even if they were only exposed to them for an hour. Over the years I've been trying to perfect methods of getting colonies to be more successful. 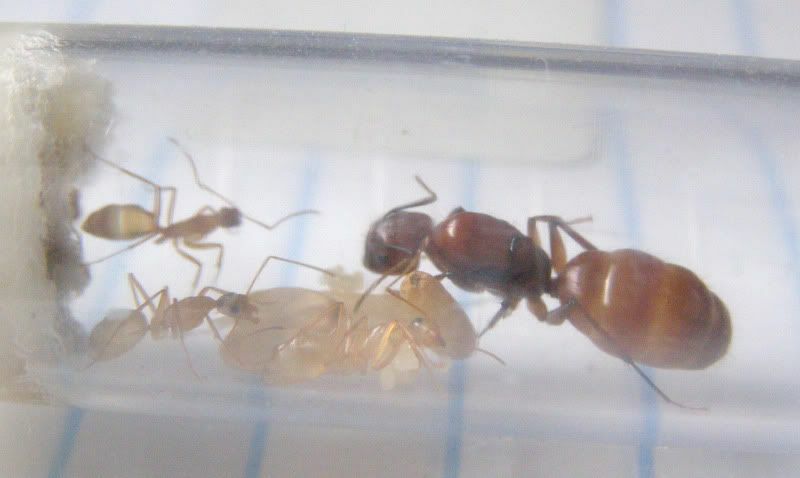 Once the first workers are born (and occasionally just before) it's important that the queen be fed. A foraging area is needed. 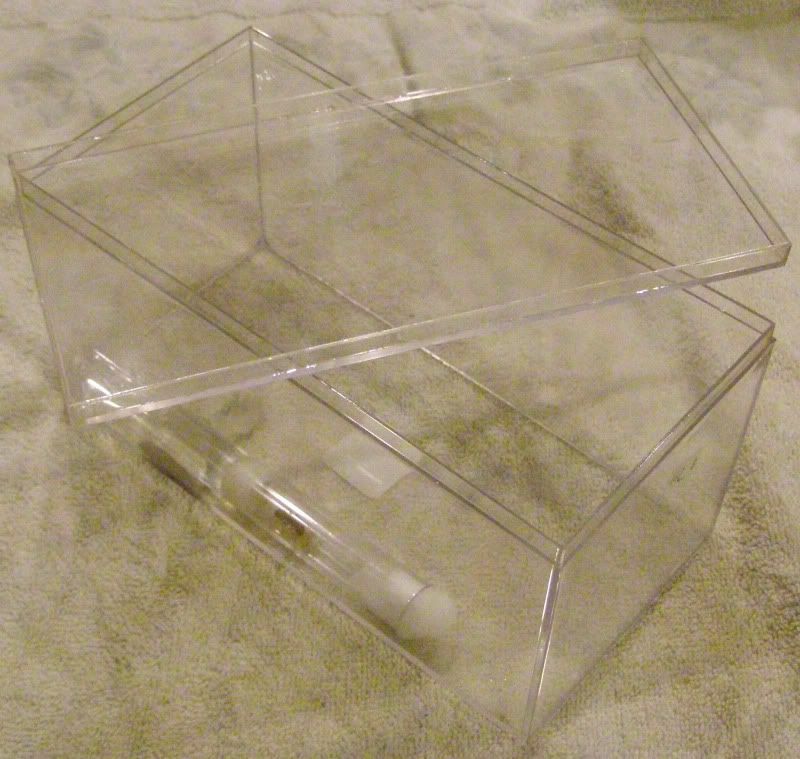 The test tube setup for each queen gets their own model display case. 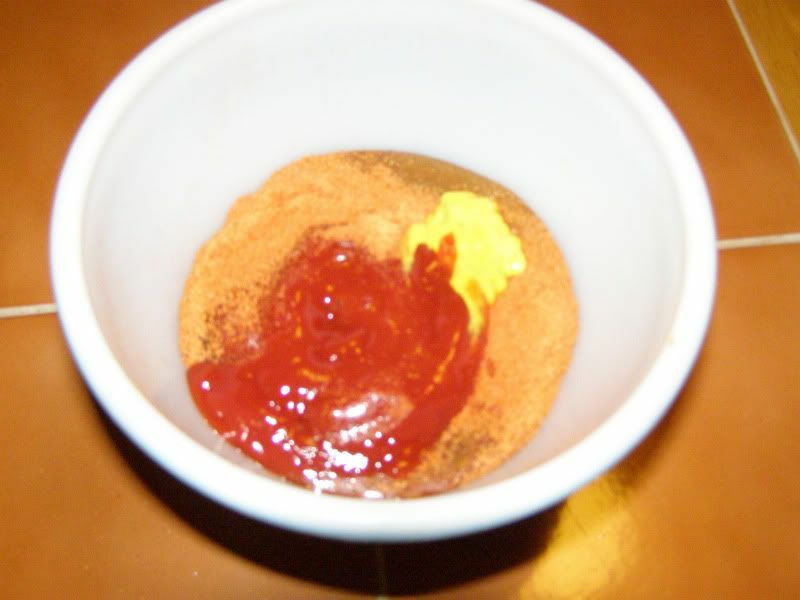 A clump of modeling clay is used to hold the tube in place. The test tube is then opened and workers are free to leave... at least that's how it's supposed to happen. 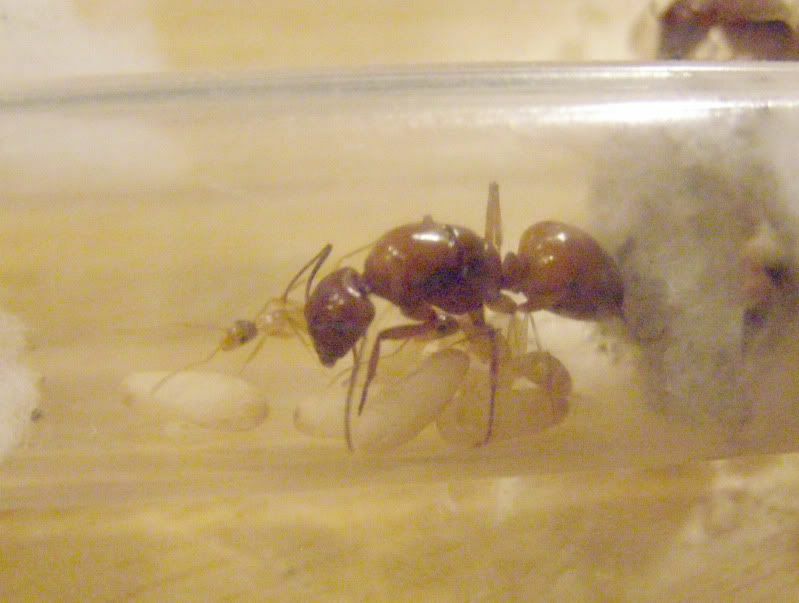 In my experience I've found the first workers to a lot of ants simply hang around the eggs and cower under the queen. As I grew tired of ant colonies failing I've concluded that disturbing the colony is absolutely necessary at this point. Take a pointed stick if you have to and put a drop of sugar water right up to the queen's face if you have to. 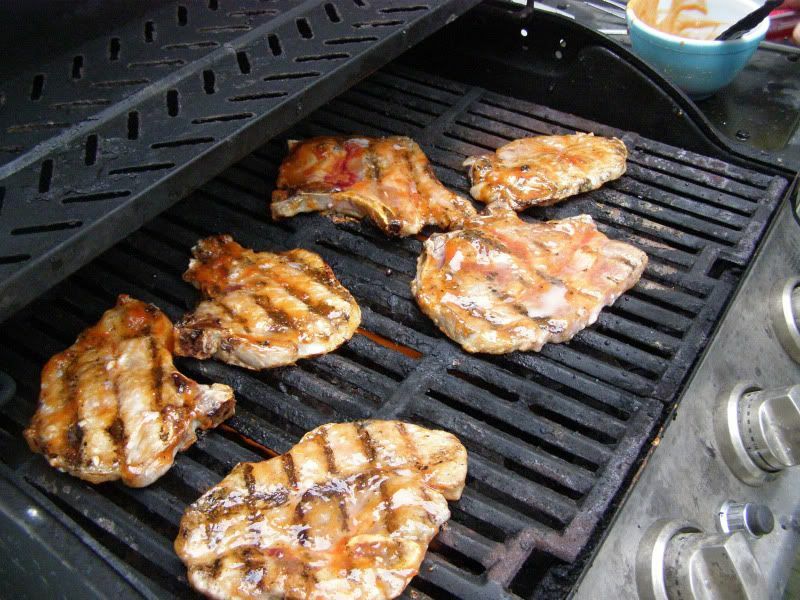 Lightly blowing in the setup can also help but try not to spook them to much. The last thing you want is for them abandoning their tube. I'll post back more with their progress, if any. Ants: So I had a nice Aphaenogaster colony. The closest thing to a common name is long legged ants but that only applies to a hand full of species out west. Even then there are ants with longer legs. Anyhow, I say "had" because they up and escaped on me. It's not something I saw coming either. The 3 in 1 oil was holding them in, they had a happy nest of several queens and were producing workers on a daily basis. I never found any foragers outside the setup. For those who don't know, ant colonies tend to be stationary. Even in captivity most species will stay in the nest (whatever that might be) and this is done to maintain a colony odor. So you can have an ant colony in your room with foragers constantly leaving the terrarium and essentially "cleaning" your house for food. 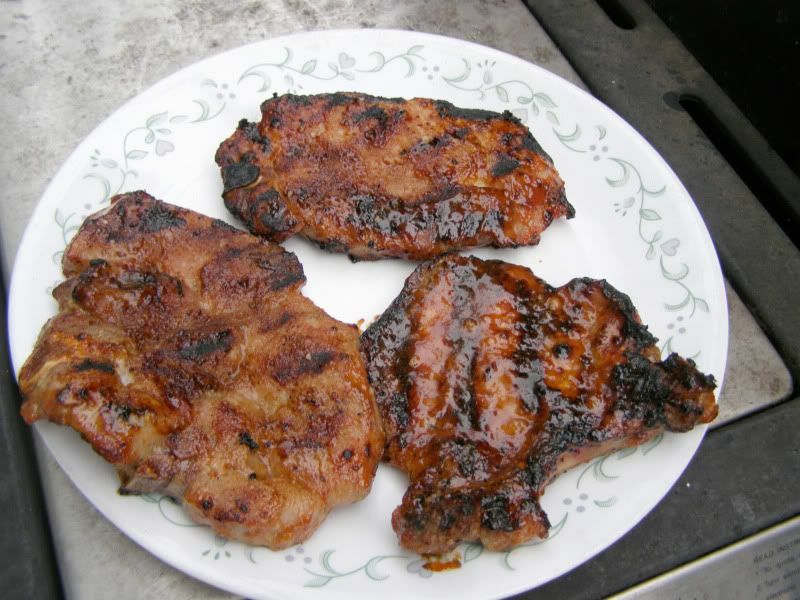 (And sometimes seeing what you're having for dinner.) And it's only if the colony feels it needs to leave or find some place better that they move the colony. Before you get all up and arms know that the average household (when built correctly) doesn't offer the right humidity the ants need. This is why you only find ants, and even then only a hand full of pest species, nesting in potted plants, the kitchen, or bathroom. Even fewer ant species can nest anywhere they like. So the colony moved out of their tank and probably went right out the window. I really didn't see this coming, as I said the workers weren't even foraging out of the tank. I think it was done though in response to a white hard to see mold growing in the plaster. Something I was trying out this time was keeping the colony in the dark. I didn't have the light on at all, as I usually do with other species. That's the only thing different from past colonies I've kept. See my Camponotus chromaiodes Journal but note that I didn't always think they were that species. In other ant news earlier in the year I witnessed a nuptial flight of Camponotus castaneus at night way back on June, 12th. On June 13th I got up early, and dissected my yard with a good ant hunt. I found two C. castaneus queens. And on August, 9th both of them successful produced their first workers! So it took 8.5 weeks. Hopefully I'll have something to talk about. 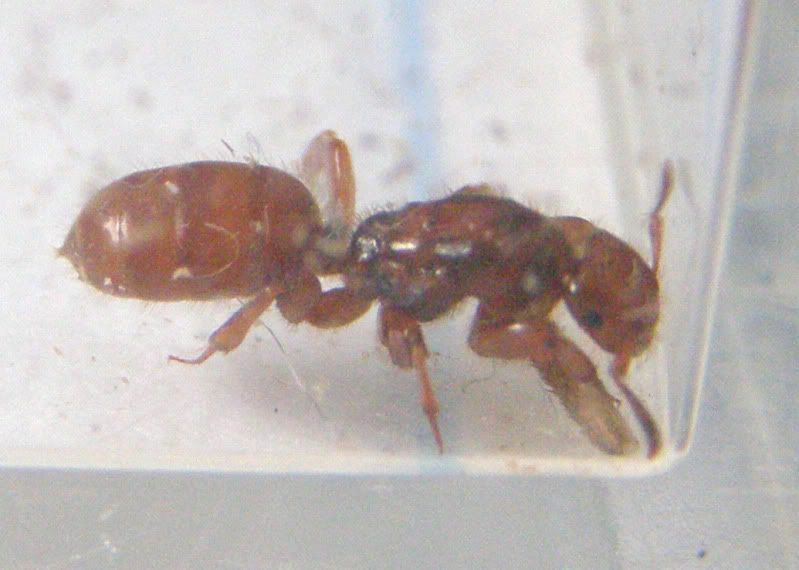 Camponotus queens, specifically the common C. pennsylvanicus, are notorious for dying shortly after the first workers are born. The last of the sunflowers are blooming and the bees are fighting over them. Good to the last drop I suppose. 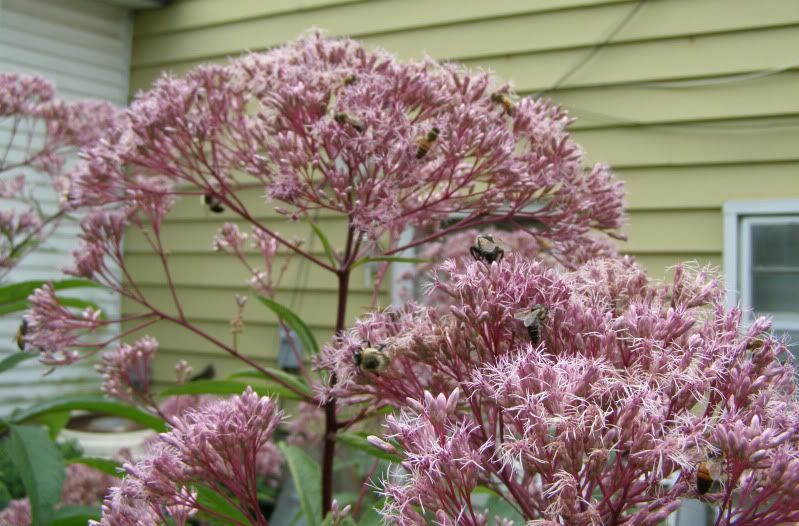 The Joe Pye Weed is also past it's peak and the bees are scrambling to get everything. 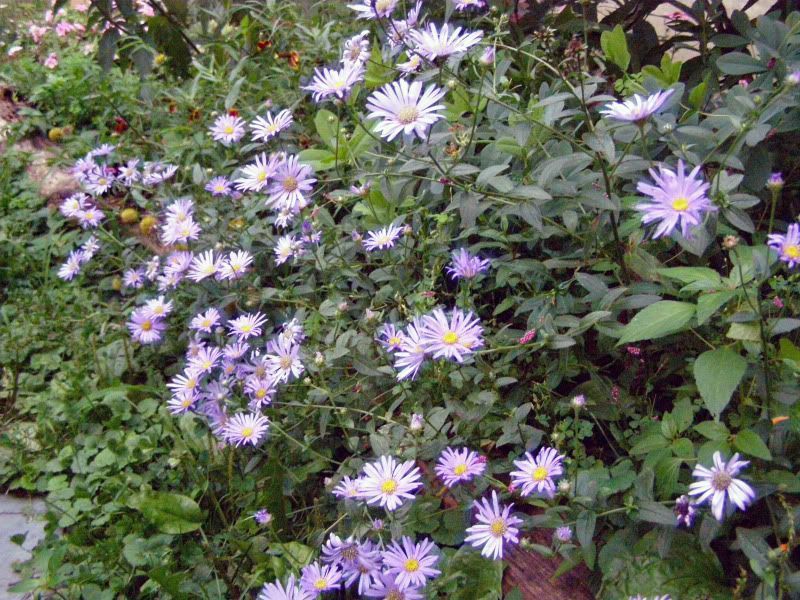 Thankfully Asters are starting to bloom, see Nature down below. 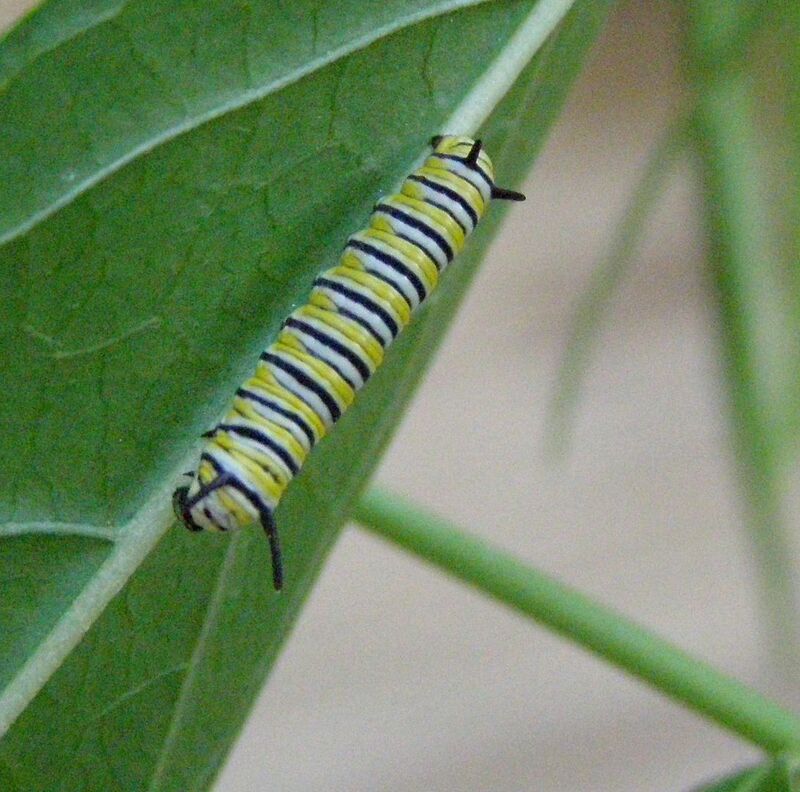 I had a Monarch Butterfly lay eggs on my Milkweed plants while I wasn't looking. They've since hatched into pin sized caterpillars. I'll have pictures later on. 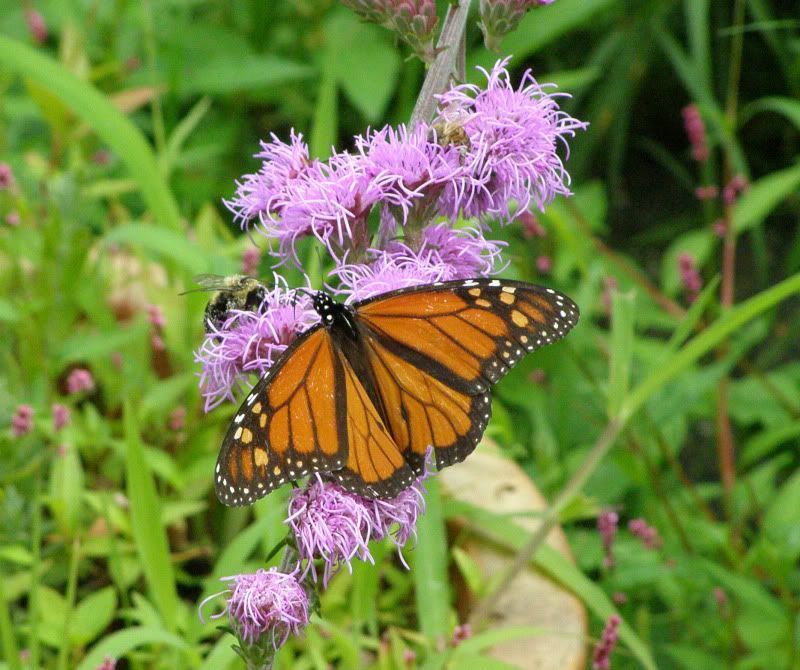 Also I found a Monarch Butterfly on the Joe Pye Weed, and even that big poofy Liatris (Meadow Liatris I think) which is cool because that was the only one of those plants I had do well, despite falling over. Hopefully I'll see more. 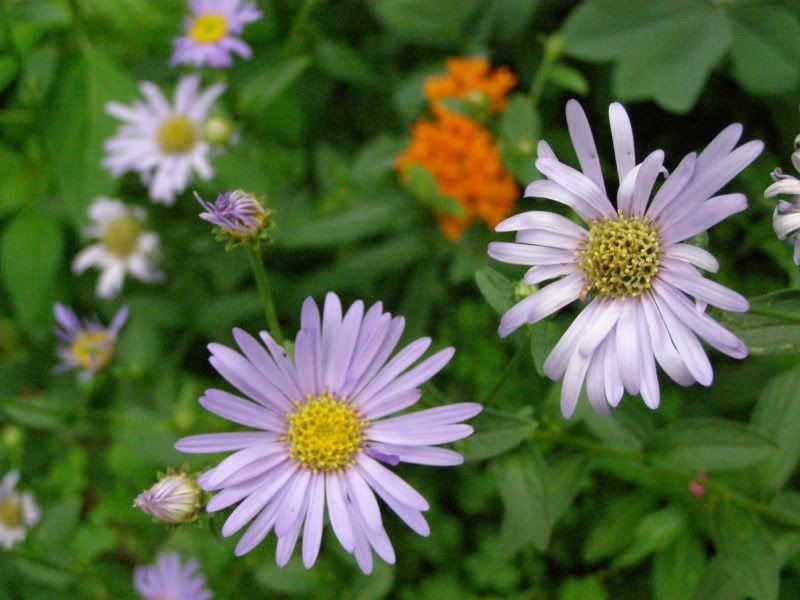 Asters! On a recent drive past the garden center I realized it's Mum season again. Thank god I have Asters out in the garden. 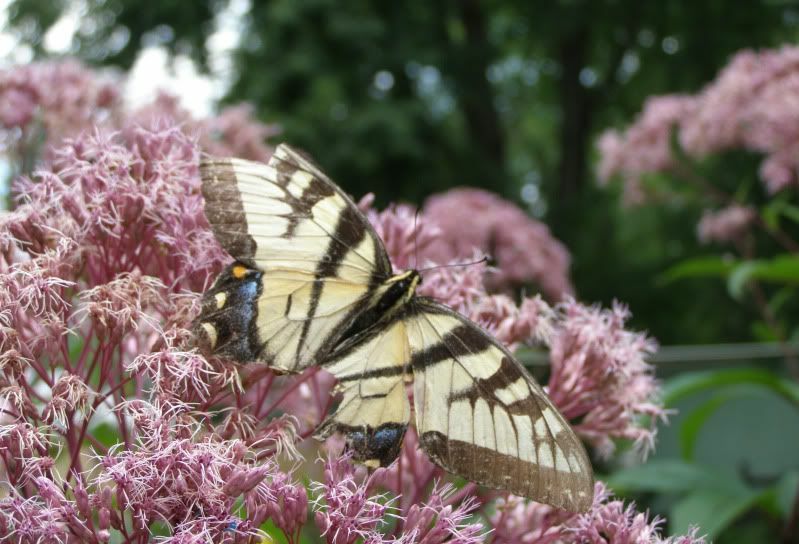 They're a great source of fall color, diverse enough to be interesting, and a decent host plant for some Lepidoptera. 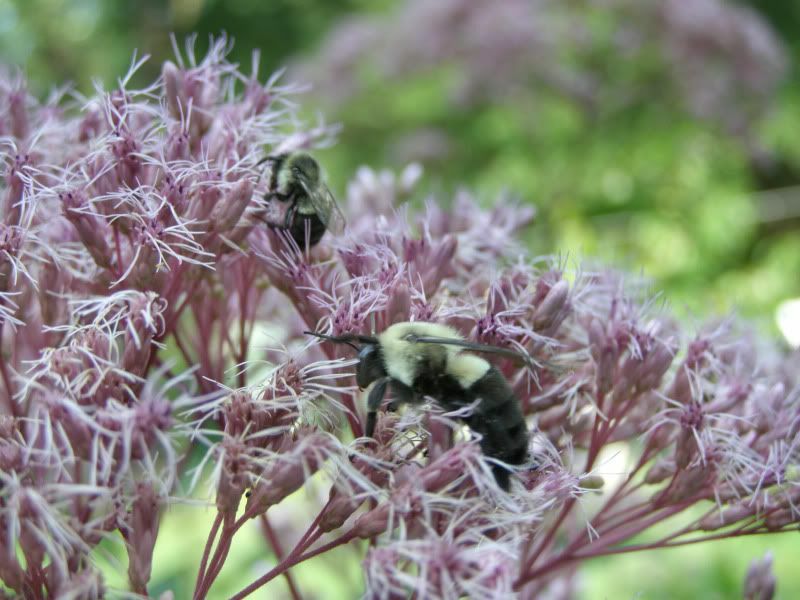 Though some bloom in mid summer the majority bloom in the fall and that's when the bees really turn to them. 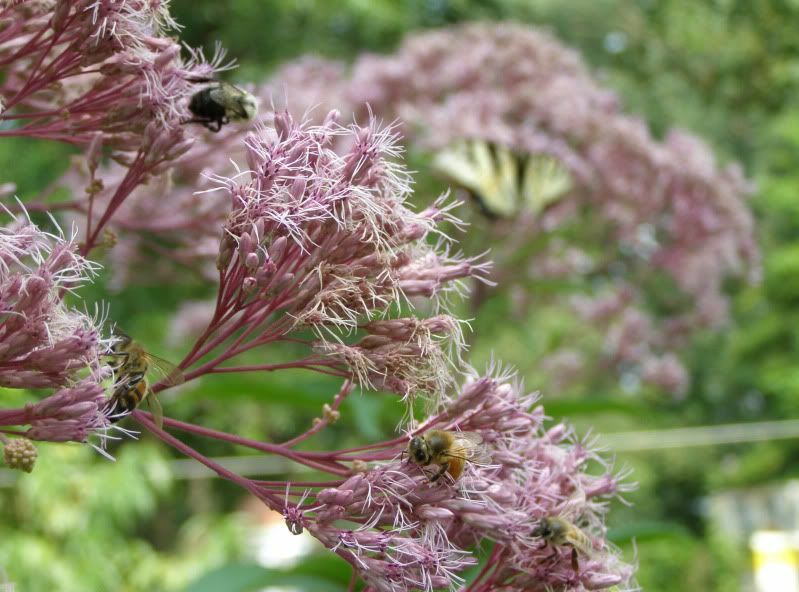 Really the only other good nectar source is Goldenrod and Sedum. So I look forward to these getting more active. Praying Mantises I'm also seeing an abundance of. I don't know what the status is with this buy. They're endangered, farmers hate them, then they're not endangered... as far as I can tell they're a native predator. Though I'm told the ones pictured above and below are imported species, and both male. I don't know much else. They do like eating bees though. Which isn't the best thing in the world. However, I do have plenty of those. I find them on plants that have good diversity to them. 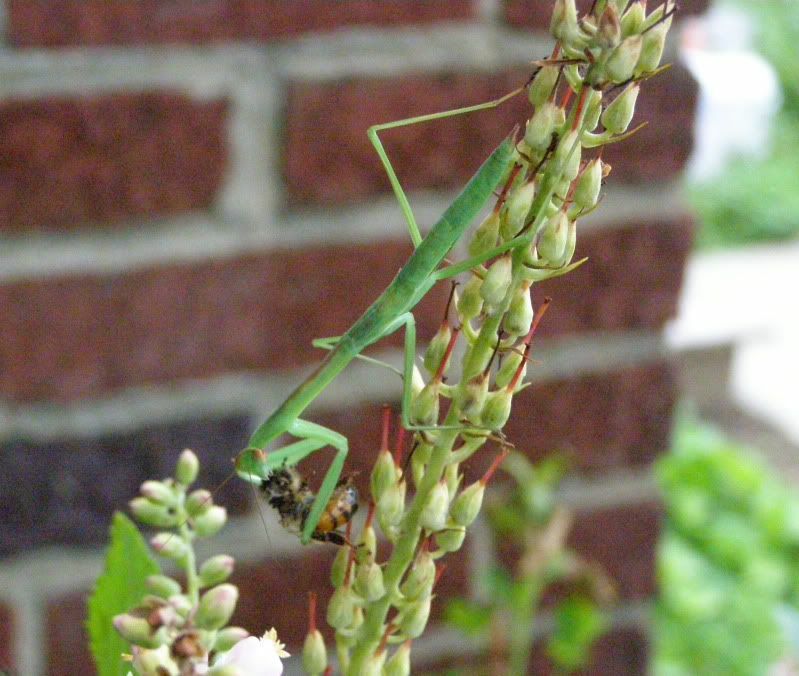 The brown one was up on my sunflowers and this green one right above here was on the Clethra alnifolia. It's called Ruby Spice though, a cultivar of the true C. alnifolia. Ruby Spice is supposed to have red flowers but you can see they range to barely being pink as well. That's all for this update. Thank you for reading. As it so happens I read the chapter on milkweed in "The Secrets of Wildflowers" by Jack Sanders and he answered my question on Tapinoma being able to steal milkweed. So far it's a good read but not something I would highly recommend. 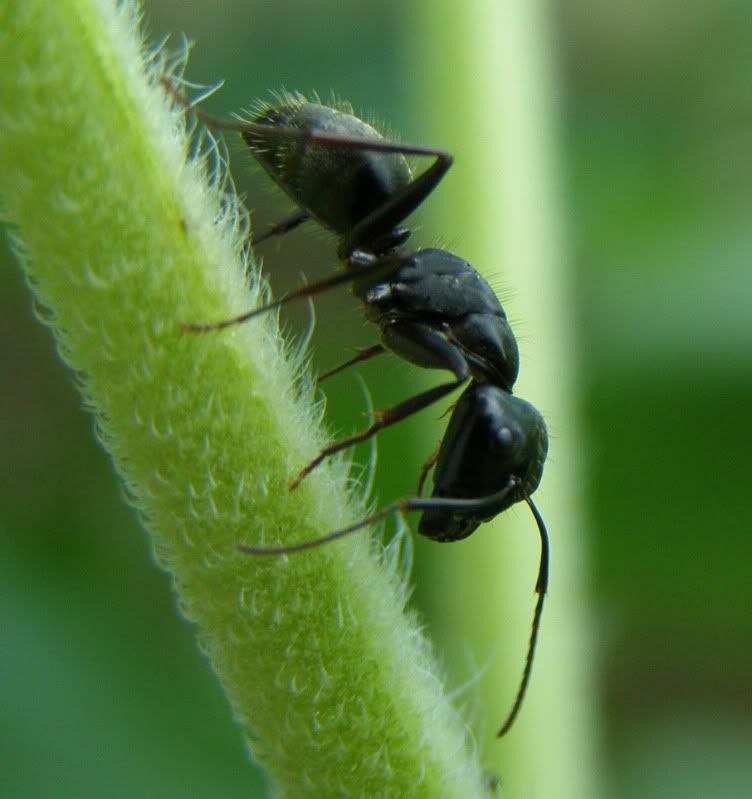 He goes over how a lot of plants prevent ants from stealing nectar. 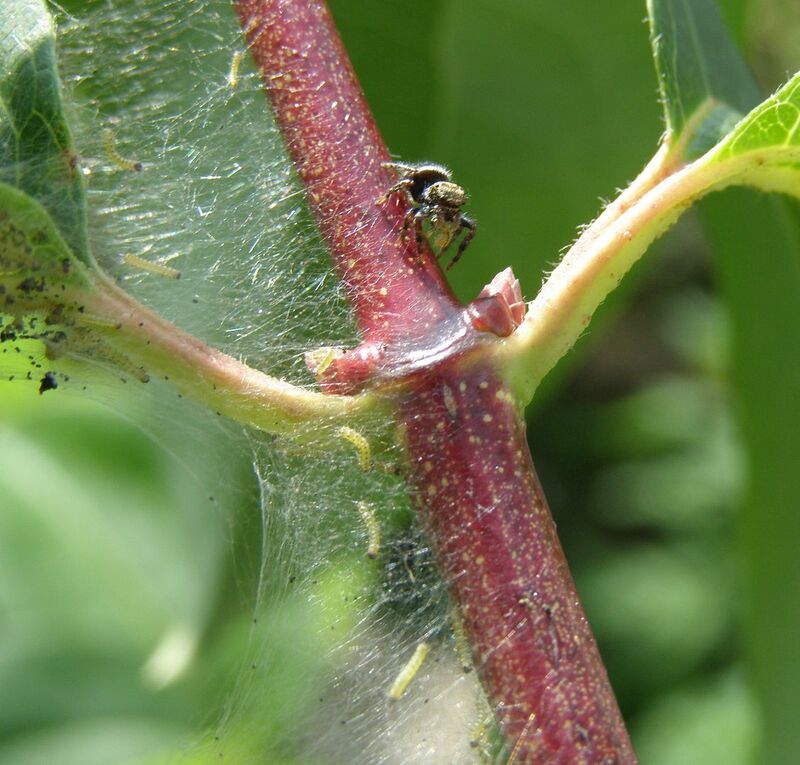 They produce hairs, the stem is slippery, or in the case of milkweed they secrete a sticky goop as the ant touches the stem. Occasionally he writes ants become stuck to the plant and die but usually they just fall off. For the light footed Tapinoma, which are speedy for their size, they simply out run the glands producing the goop. 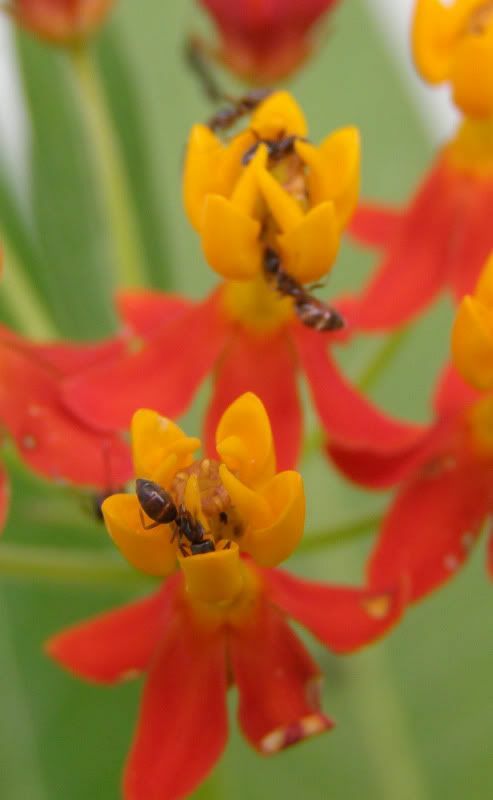 This explains why I've seen them on other flowers but not other ants. Just to give a quick review of the book so far. I'm a bit more than half way through now and hope to finish soon. Sanders offers a lot of good info about the plant, mostly how it's been used and stories about it. He explains the Latin names and translates them, offering up reasons why the name may have been picked. When it comes to the plant's herbal use though he in no way advocates the use of it, but usually quotes the comments of countless other authors from their books who do use it. And this is what annoys me. Some of these other authors comment how poisonous certain plants are and how deadly while other authors on the same plant are using it in casseroles and curing diseases. Sanders in no way offers his own opinion on these plants. The info is good to know but when he's quoting so many other authors and saying what books they've written it leaves me wondering "Shouldn't I be reading their book instead?" The cover shows a nice pictures of Lupinus (perenis I think) but it's no where to be found in his book. Other plants though are a great mix of natives... and a few nonnatives unfortunately. But he does go on to talk about the benefits of both. I find myself bored with a lot of these plants though. Talking about the renaming of the Shasta Daisy over the years is good to know but not fun to read about. Poems and stories are also offered for most plants which is not my thing so I don't hold it against him. It's just really hard to read the lyrics without a melody going on. Where the book excels is naming some early blooming wildflowers. It's not just Skunk Cabbage blooming in March. There are some really pretty plants out there and I've been itching to find a native alternative to crocuses, tulips, and daffodils for a while now. 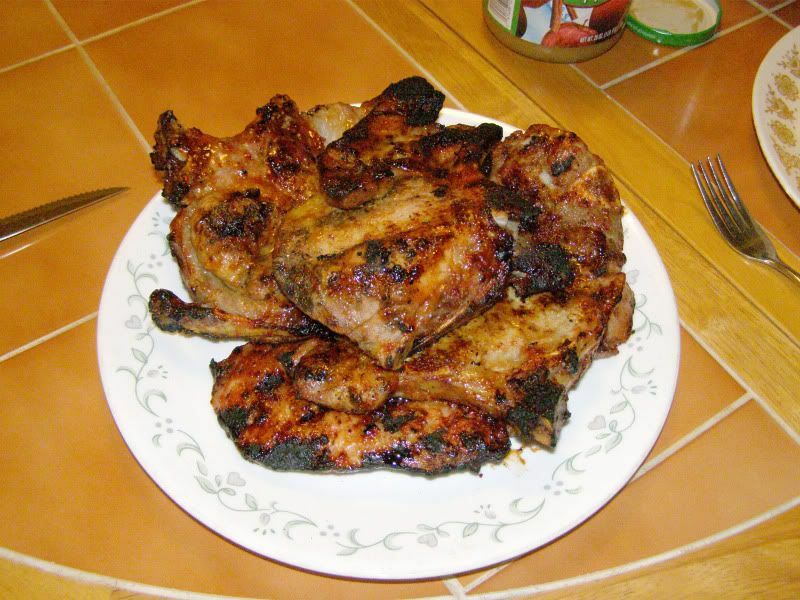 Many of them are short enough to plant right in the lawn as an added treat. What's more most of them are distributed by ants so they can really go wild in one's yard. 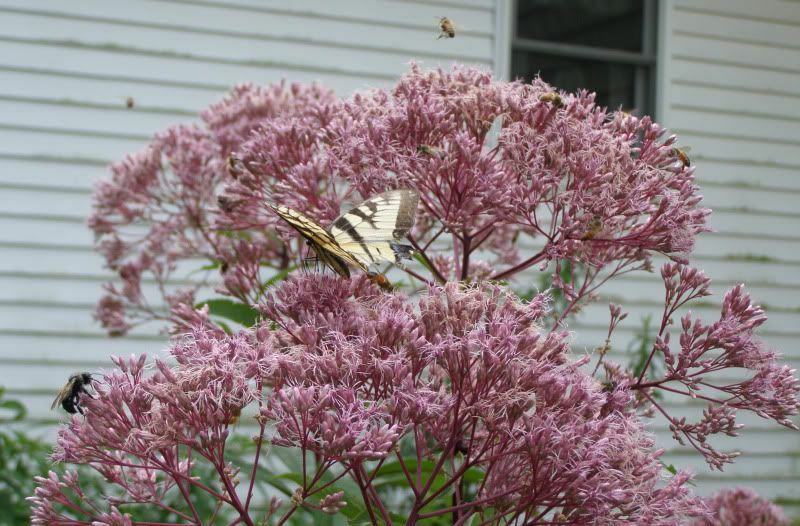 Some of the later blooming plants though are nothing new in my eyes, but readers who don't know about Joe Pye Weed, or Butterfly Weed, might be thrilled. Pictures are excellent in highlighting the plant to the point of making most of them easy to identify. They're pretty to look at too. However, as it's pointed out, this is not a field guide. This is added info after a plant has been identified. He talks about the most common species (usually the one he highlights in each chapter) and goes on to say common ones on the east coast and common ones on the west coast, or generally other plants worth noting. I actually like this and it's done even for of the nonnative imports to list their native counterparts. He also names and numbers the genera and species in a family of plants. Some of these families have more than 10,000 species in them, I had no idea plants were that diverse! Overall it's a fair read and might make a good gift to someone more experienced with gardening. 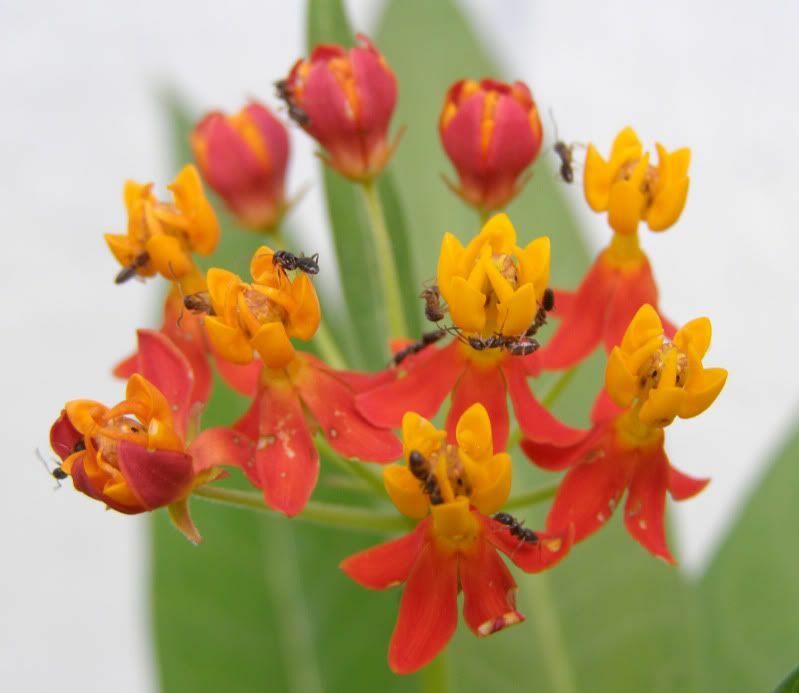 Tapinoma sessile, The Odorous House Ant, is the only ant I know of that steals nectar from Milkweed. What you're looking at up there is probably the best example of this. Usually I only see one or two ants working a cluster. What's odd is that I don't see other ants doing it. Lasius neoniger, Lasius alienus, Formica incerta, Tetramorium species E, and colonies of Temnothorax curvispinosus, as well a few others are all ants nesting next to this plant. There's even a massive colony of Crematogaster cerasi around. All of these colonies are nesting withing foraging distance if not directly in the garden they're planted in. The Formica incerta is understandable because they're slightly bigger. Tetramorium I've seen working aphids and sipping at extra floral nectar, though their main diet is insects and seeds. But the Lasius are the same size and eat more sugars, why aren't they working this plant? 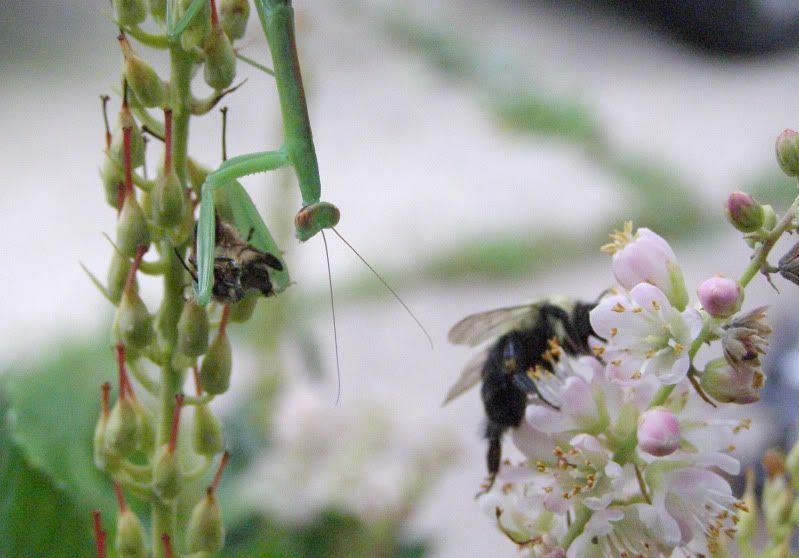 Stealing nectar isn't exactly necessary or beneficial to the plant in this case. Actually many plants have hairy stems to prevent it from happening. The nectar is there to attract pollinators. 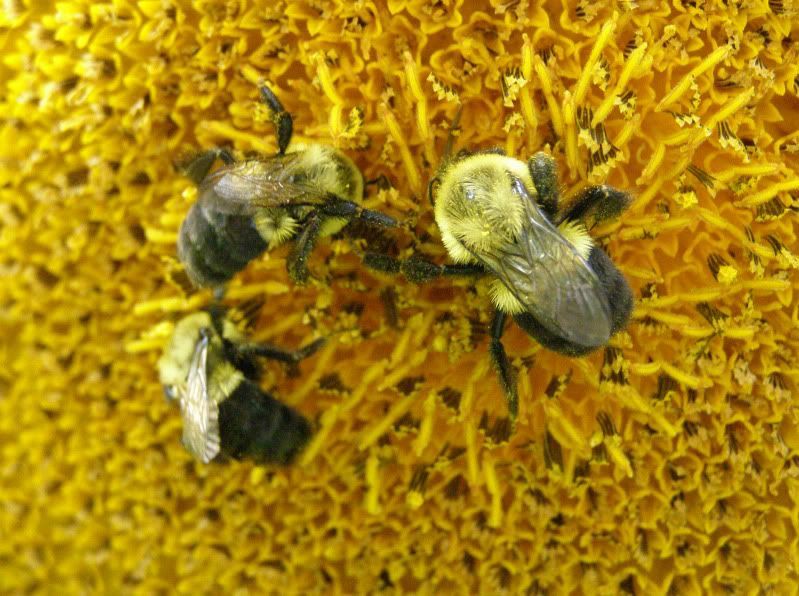 Pollen is dusted onto the bee, wasp, beetle, or what have you, and is hopefully moved to other flowers. Some bees happily store pollen in the nest as it's an excellent food for developing bees. Ants don't seem to take advantage of pollen sources, at least not that I'm aware of. Some ant species do pollinate plants but usually they're hairy or have special structures on their body to do this. Tapinoma sessile is not that hairy though as far as ants go. One morning earlier this week I went into the garden. The skippers darting around had caught my eye as they've become more common. On a leaf I witness one land next to the other and do what can only be described as a butterfly reach around. The two take off still connected to one another. 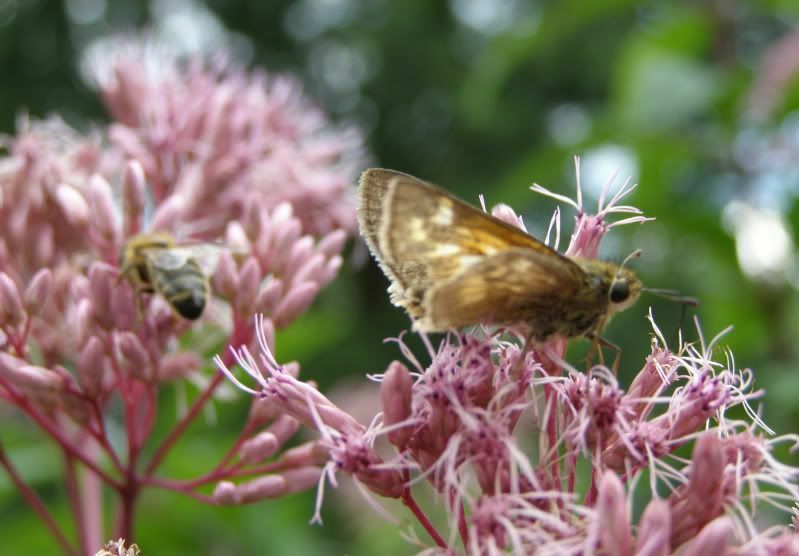 More Skippers are on the Joe Pye Weed behind me. Never more than 2 or 3 though including the mating pair. But I see different color patterns now and know there have to be more of them out there. Pictured above is one of the more colorful ones but I've seen some that were bright orange. Along with the skippers are bees. Though I haven't truly captured it to do them justice, I can find dozens of bees working each cluster of flowers at a time. Easily there are several hundred bees on the plant during certain parts of the day. Swallowtails occasionally stop by too. This one though seems to have gotten into a fight with a bird. They're almost never out there but on days when I have one in the yard they usually spend several hours on this plant. It's sights like that that remind me why I bought it. I wish I could say the plant wasn't falling over though. Only a few stems in the middle are staying up right. What's neat though now that I think of it, is I wonder if falling over isn't beneficial to the plant. Though native I have to say it was not drought tolerant. Often I'd come out and find some of the stems folded over in a floppy mess. I'd give it a good deep soaking and it would be right again but only for another day or so. Now that it's blooming perhaps it's easier to produce nectar when the flowers face outward. As the butterflies come and go the real treat is watching all the bees. With great diversity of pollinators I can survey how the local populations of bees are doing. Needless to say Honey bees are on the up. Bumblebees I didn't think were doing good at all until this plant started blooming. Usually I'd be out wondering why I had nothing but bumblebees in the garden all spring and summer and only when the richer sources came in would I start seeing honey bees. Bumblebees actually increase in size over the year, with the smallest bees being born earlier in the year, and larger bees (the same size as the queen) are born later. I'm not sure what this image portrays above but having such small bees this late in the year can't be good. Saw a lot of this out in the garden. Ever since an awful storm it seems like all my plants are playing limbo. 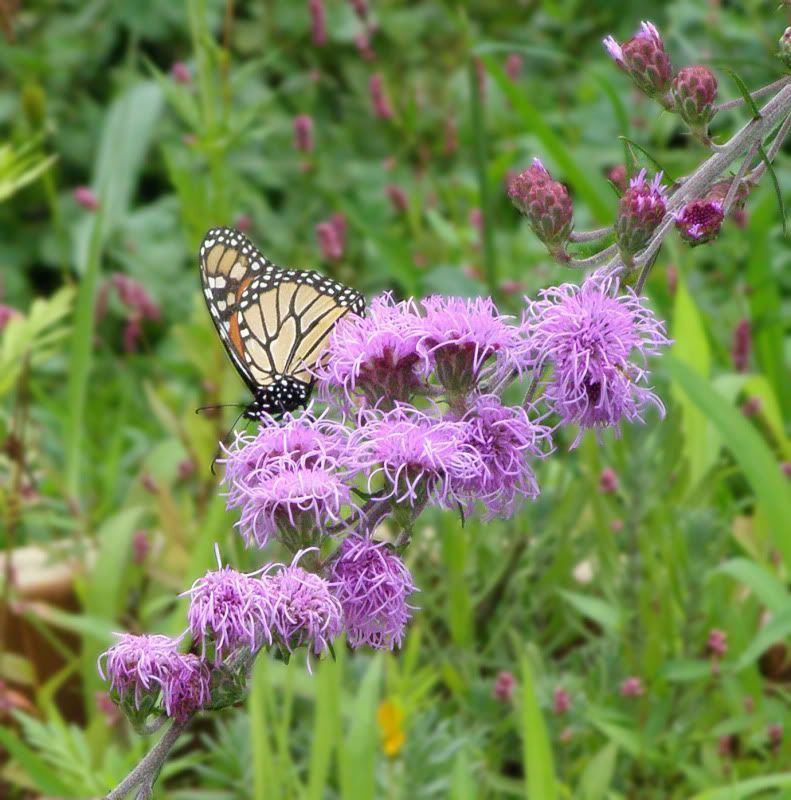 This is the only Liatris ligulistylis (Meadow Blazing Star) that didn't fall over. It's also the only one that seems to be doing well. Other Blazing stars I have seemed to have faired better. 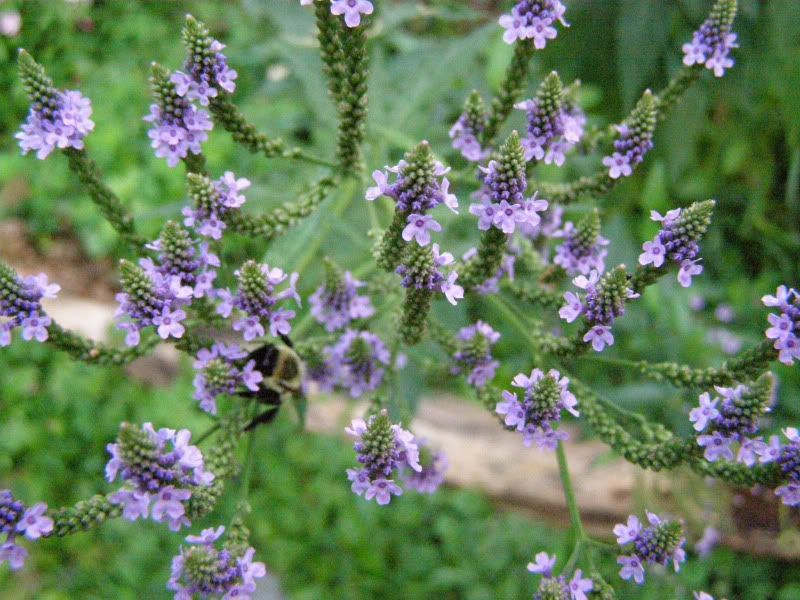 I planted some Blue Vervain, Verbena hastata, in front of the coneflowers. Somehow I didn't expect them to grow twice as tall, on well. These two plants are getting switched in the fall of course. As you can imagen though they've fallen over too and right onto the walk way. Unfortunately I couldn't get them to stand back up again and had to cut a few out of convenience. On the up side though I've found a great angle to view this plant. Overhead! If I had a spot near our deck that was sunny and free this plant would be perfect there. Unfortunately That's where the milkweed patch is, and the other sides are to shady. From the side view (seen here) the plant isn't spectacular. It's just green shoots with very few flowers blooming. It's in desperate need of a companion and I just haven't found it yet. 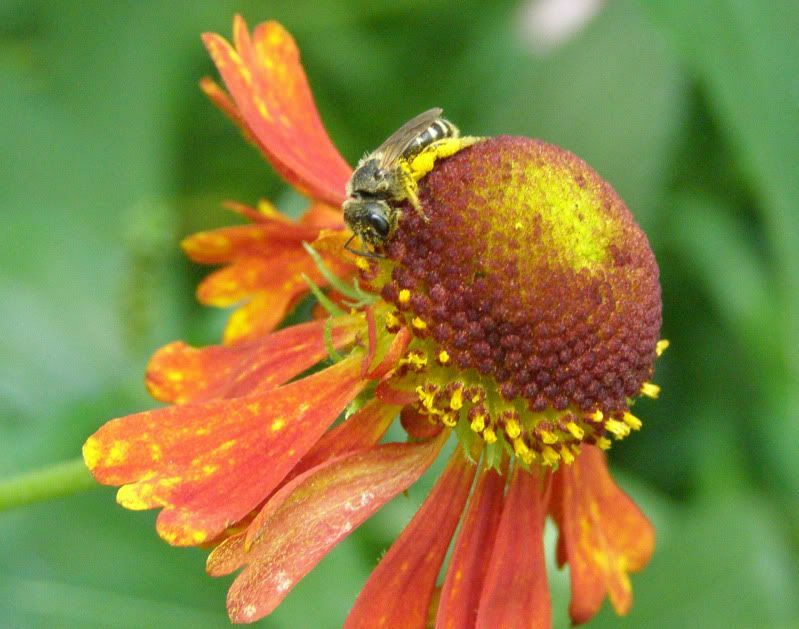 Another casualty in this domino effect was the Helenium x Helbros "Mardi Gras," aka Sneezeweed. 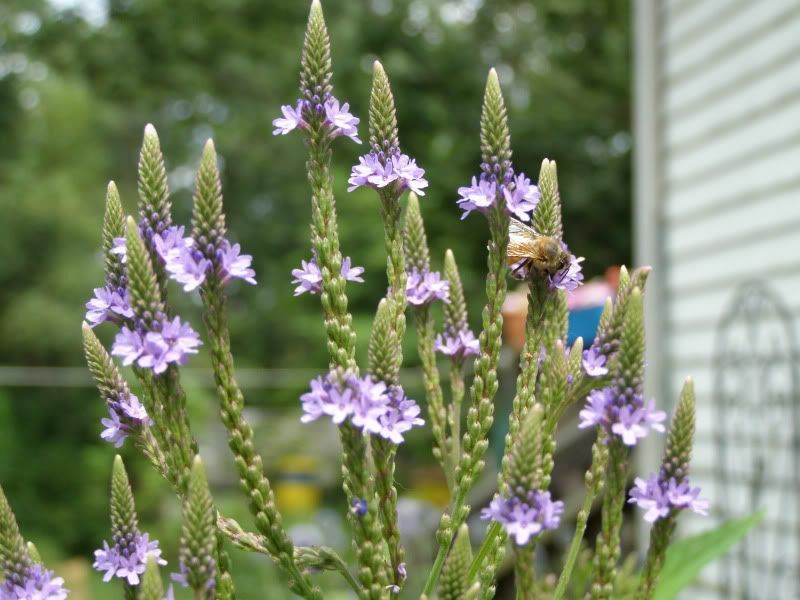 My neighbor has a tone of these (and she buys a lot of honey hehehe) and they are very pretty plants, everyone one should own some, (and buy more honey from me). Normally I don't plant red flowers, which is what the flower start out as, but this one really caught my eye. My disliking of red in the pollinator garden has nothing to do with bees pollinating the flowers. Yes insects see red as black and they're not attracted to such colors, but plants frequently employ different methods of attracting pollinators. Purple Coneflowers (regardless of color) get way more attention than Black Eye'd Susans which are beaming yellow. Sunflowers in general come in a variety of colors and red is not overlooked. No, my reason for not liking red plants is because of what how attractive it is. I do a lot of macro photography and often I like to take advantage of the backgrounds. Example 1, Example 2, Example 3. Having a giant red dot glowing in the background creates an accent in the picture that changes the way one's eye might flow through image. Very annoying in my opinion. Other plants that are so disastrous that I didn't bother to take their picture are the Joe Pye Weed, which is now shading out some Rudbekia, and Coneflowers now, and the perennial Sunflowers. Ohh that sunflower.... I don't understand how a perennial sunflower falls over and the annual varieties stand up firm. The lesson here is buy supports.